Ideally located on 3rd Street near La Cienega, this little gem of a location is the perfect canvas to create or expand virtually any concept. The location has immediate access to major population centers and employers, which will allow an operator to promote dine in, takeout and delivery. Location and Facilities: This 850 square foot facility leases for $4,406 per month on a lease until March 2019 All of the business s furniture, fixtures, equipment, and lease rights are fully owned and will transfer in the sale. The owner recently remodeled the entire space and spared little expense in design and d cor. With on site parking, a rarity in this densely populated area, an owner can focus heavily on the vibrant local take out and delivery market. Market Information and Position: Since most operators will be implementing their own concept, there is nothing but upside. The current business concept can be expanded upon, as the current owner does not have the time to capture the full evolution of it offerings. 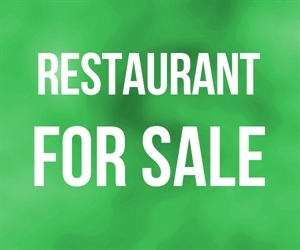 Competition: The restaurant industry in general is competitive; however this location, with plenty of parking, is on a major thoroughfare and is easily accessible from multiple locations.